As usual the Convention was phenomenal. It is hard to express in words what it is like to go to an International Convention. There is the excitement of seeing old friends and meeting new ones. 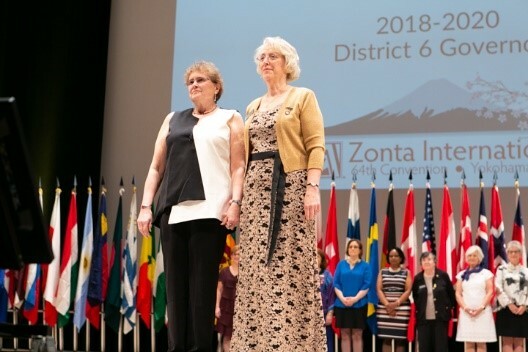 The opening ceremony is always something that makes one proud to be a Zontian as well as an American as Zonta was started by a forward group of Americans and now extends around the world to 66 different countries. It is always a great thrill when someone from District 6 carries the US Flag. 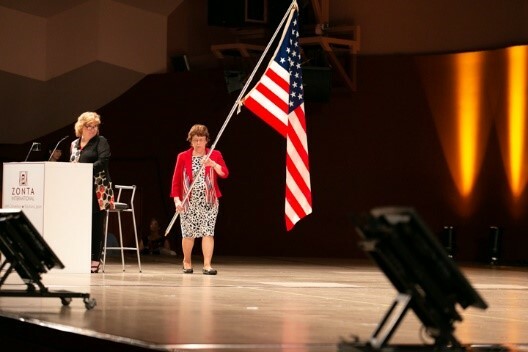 This year our own Jackie Beaudry carried the flag that then stood by the flag of our international President’s country Sweden and the host country Japan. 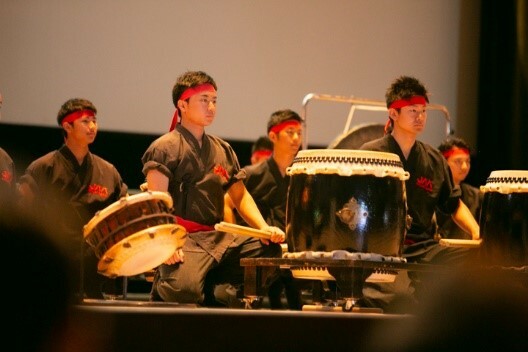 Before the actual opening ceremony, a group of Japanese Drummers took the stage and gave a spectacular performance. These young men have been all over Japan and the world and won many contests. The most interesting fact about these young men was that they are one of the Z-clubs of Japan. The incoming Governor of Japan was so proud of these young men and believe me she had every reason to be they did Zonta well. The memorial service was inspiring. A Japanese violinist used her talents to help celebrate the Zontians that are no longer with us. Each Governor carried a yellow rose for the Zontians in their districts that passed during the past biennium. Governor Tammy carried District 6 Rose to represent our sisters and friends who we will all miss and see again in the future. ahead of time for your help. The other thing that really excited me was being able to see, rather up close, the Empress of Japan. It was an honor and something I will never forget. Now it is time to get my heads out of the clouds and down to work. 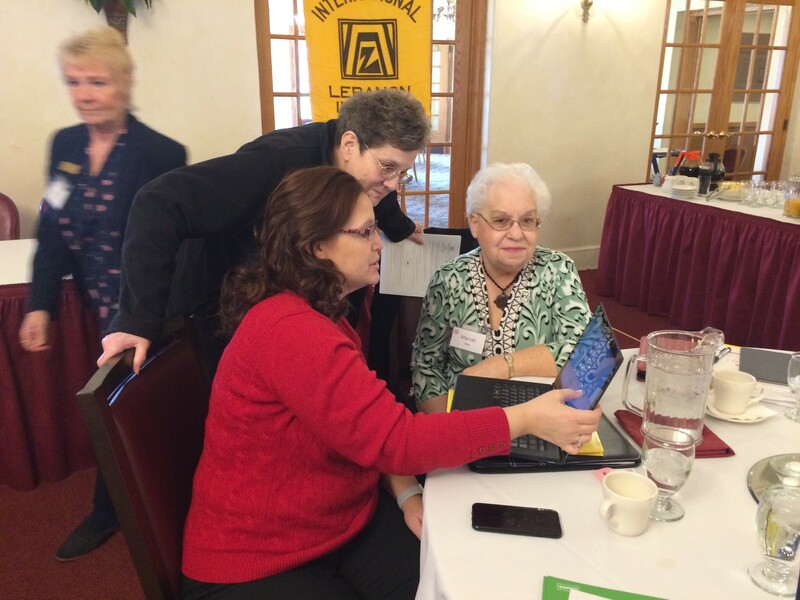 The highlight of the end of the Zonta year is the Area Workshops. This year the theme was Relevant Voices/Relevant Clubs. All 5 Workshops focused on the use of Social Media and interacting with the Millennial Generation. There was a heavy emphasis on interactive sessions on the several different types of popular social media with time to get set up with sites such as Facebook and Instagram. Younger Zontians, often Millennials themselves, guided us through which site is most popular with which age group and helped with hands on training and answered questions. Many of us set up new accounts particularly with Facebook during these sessions. I even plunged into Instagram. Here is some advice from Ashley Conard, daughter of incoming Area 4 AD Lisa Conard, who attended and actively participated in the Area 4 Workshop. 1) Facebook and Twitter accounts are a great place to start using only a few social media platforms. LinkedIN is a powerful platform to attract business women. Track the stats for your accounts. 2) Set up Skype for your Club so that members can attend meetings when away OR so that others can host a meeting from afar. 3) Your Webpage should have a list of members and what they do professionally. It should include a list of like-minded organizations that share our vision. Post your upcoming events with QUALITY Pictures. Add a page where a few of your members share their WHY Zonta and reasons why someone should join Zonta (leadership training, skills development etc.). Add buzzwords to get individuals attention like a link to UN WOMEN. 4) Don’t forget the low-tech approach. Make a list of whom you want to recruit and reach out to them personally, invite them to events or a meal. Young people come for food and interesting conversation about issues. The Annual Fall Conference convened in Madison Wisconsin over the weekend of October 13-15, 2017. There were 119 Zontians and 6 guests in attendance. 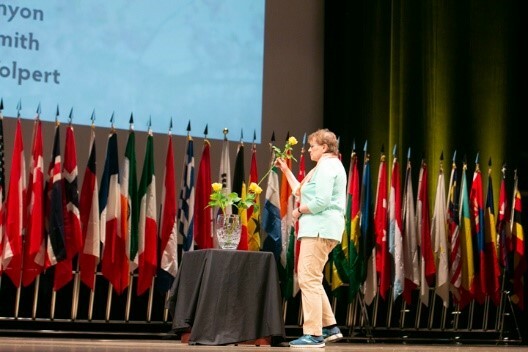 President Elect Susanne von Bassewitz represented Zonta International at Conference. Attendees appreciated interacting with her throughout the weekend. As the business meeting for the biennium, your delegates approved the 2018-2020 Biennial budget and elected the incoming leadership team of: Elaine Rynders – Governor, Anna Weselak – Lt. 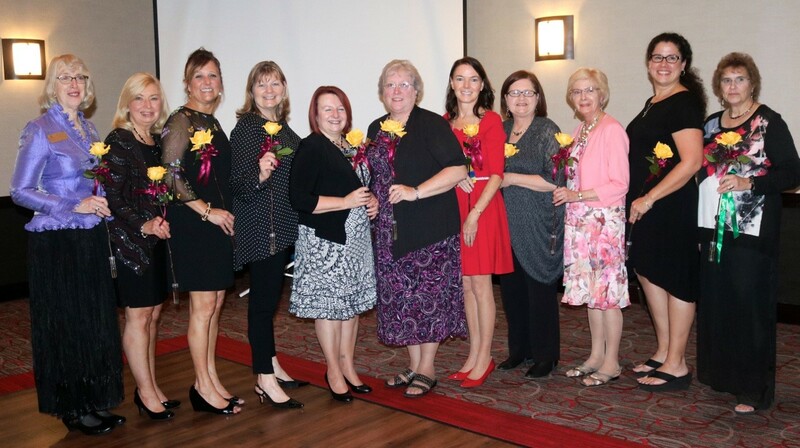 Governor, Cheryl Trudeau – Treasurer, Susan Bruzan – AD1, Donna Ambrose – AD2, Marsha Bennett – AD3, Lisa Conard – AD4, and Janice Corrigan – AD5. 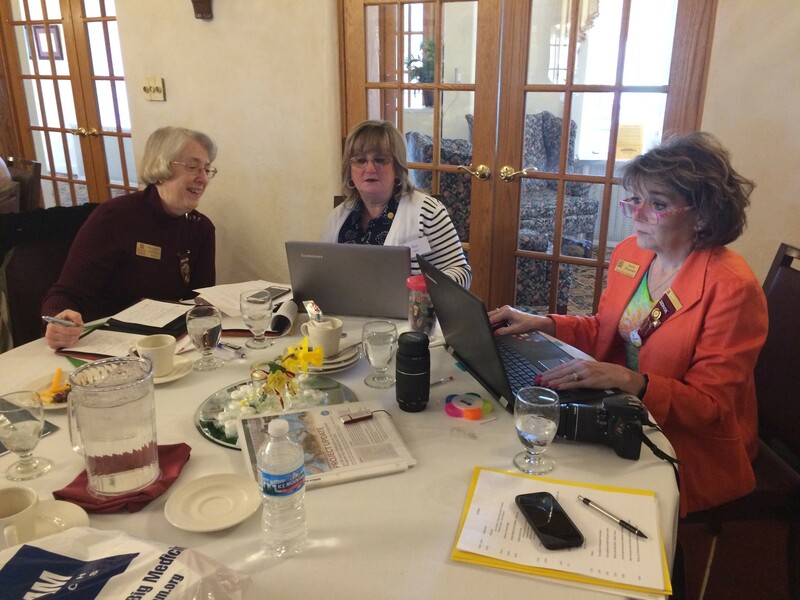 The Nominating Committee members are Tamara Hagen, Chair, Christina Plotzke, and Dorothy Suther. Board/Committee reports and a review of our District Goals updated us on the status of the District. Woven throughout the Conference was an emphasis on the Centennial Anniversary Celebration (CAC). This kicked off with a presentation by President Elect Susanne von Bassewitz and CAC Endowment Committee Chair Jackie Beaudry on Friday evening and ended with District CAC Chair Yvonne Chalfant presenting an interactive session Sunday morning to stimulate ideas for Club and District activities centered around the 100 year Anniversary. This Celebration will culminate at the 2020 Convention hosted by District 6 in Chicago. 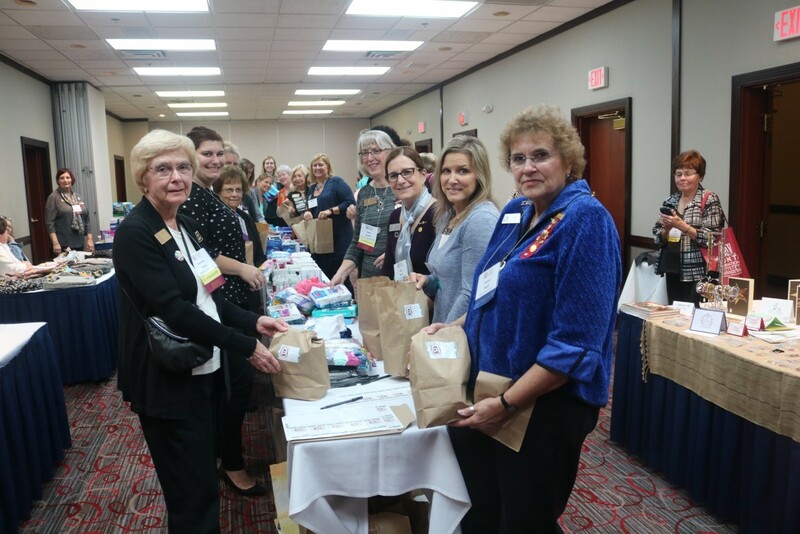 Zonta International Foundation was highlighted at Conference with Denim Day donations promoted on Saturday. Zonta International Development Chair Sally Bean presented her visit to Madagascar with President Sonja Honig Schough for a project site visit last summer. The members were inspired and the weekend donation to ZIF was a record $11,000! Matching or Conference theme of “Empowering Our Voice”, the Saturday Key Note speaker and workshop moderator, Veronica Ruekert, discussed how women are perceived as they speak. She noted that women speak less in discussions and decision-making conversations even at the level of Congress or the Supreme Court. Her workshop focused on effectively using our voice to speak assertively. This year our District had 4 AE Fellows, two from Purdue and two from U of I – Urbana-Champaign, and 3 were able to attend and speak at Conference. These women were awesome and inspiring. They stayed for the whole Conference and many members were able to interact with them. No less awesome were our Scholarship and Award winners, the District AND International YWPA recipient and the District JMK recipient. It was a pleasure to have their families attend and see the Award Ceremony. 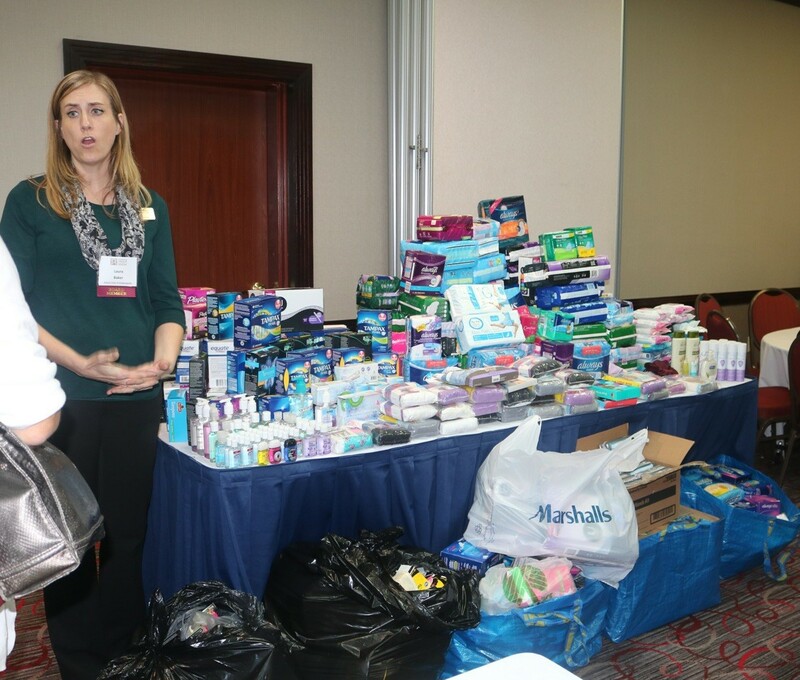 A new feature at Conference this year was a service activity, The Period Project. Members were asked to bring or send donations of feminine hygiene products and underwear. During Hospitality Friday evening, these supplies were packaged into 150 Period Packs. The outpouring of donations was overwhelming! We not only made the Packs but had enough supplies left over to fill a pickup truck. The Period Pack and all the supplies will be donated to a Madison homeless shelter for families, The Road Home. In spite it being the weekend of Friday the 13th with several incidents (2 rear end crashes- no one seriously injured, 1 AE Fellows car dying, and a speeding ticket), the Conference was a success with a lot of energy, engagement and fellowship. Save the Date now for next year’s Conference hosted by Area 3 in Fairview Heights Illinois the weekend of October 5-7th.